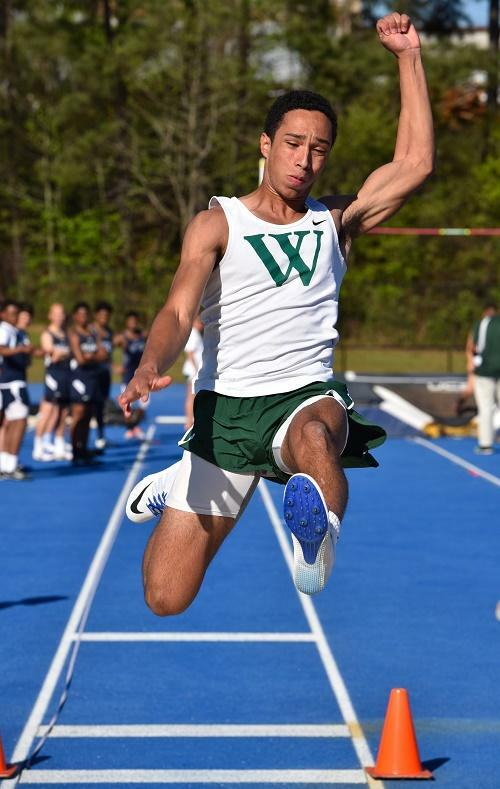 King of the Jumps - Paris Howland of Westminster earned Gold in the Long, Triple, and High Jump. 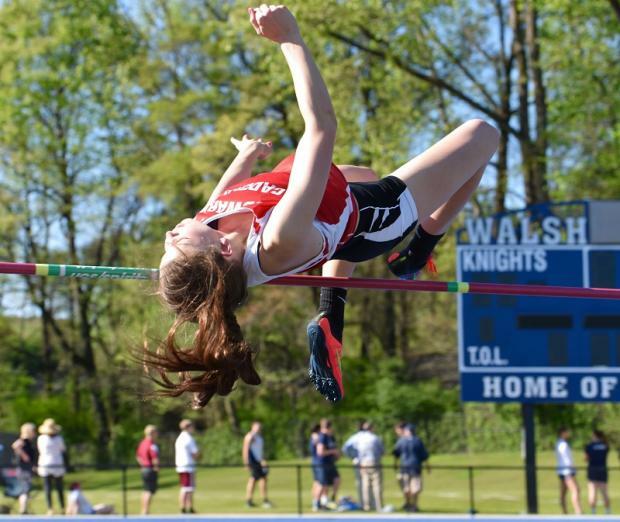 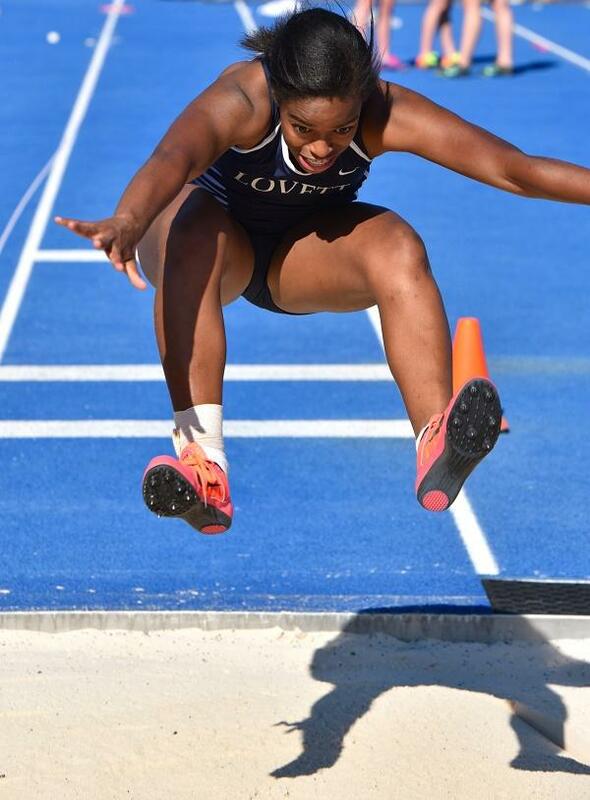 Nicole Teague of Lovett soared to Gold in both the Long and Triple Jumps. 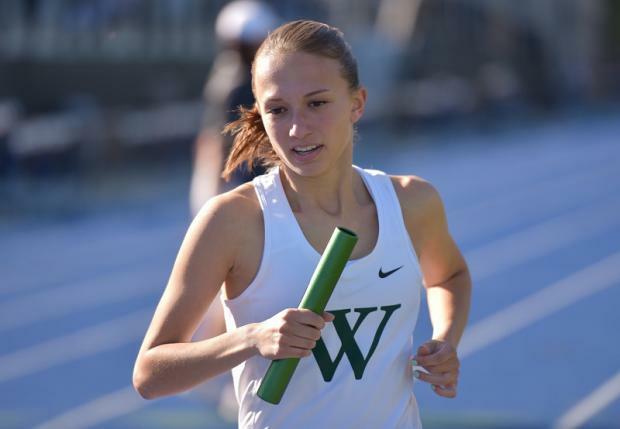 Westminster "A" 4x800 Relay Team took the win with Bronte Bacchetta, Victoria Flowers, Charlotte Folinus, and Carson Simon. 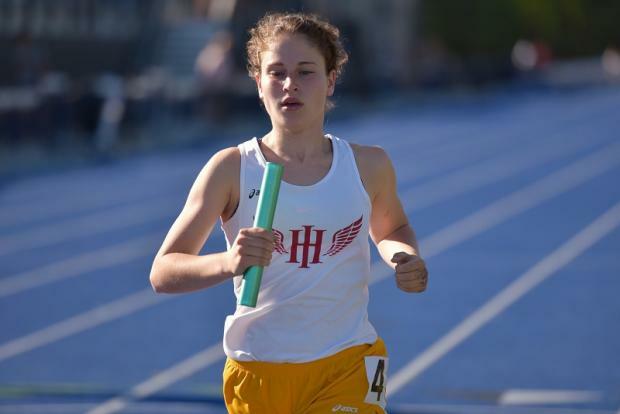 Holy Innocents "A" 4x800 Team with Bryn Foster, Ileana Zeissner, Sue Raney, and Parke Faison earned Silver and a School Record with their 10:34.59. 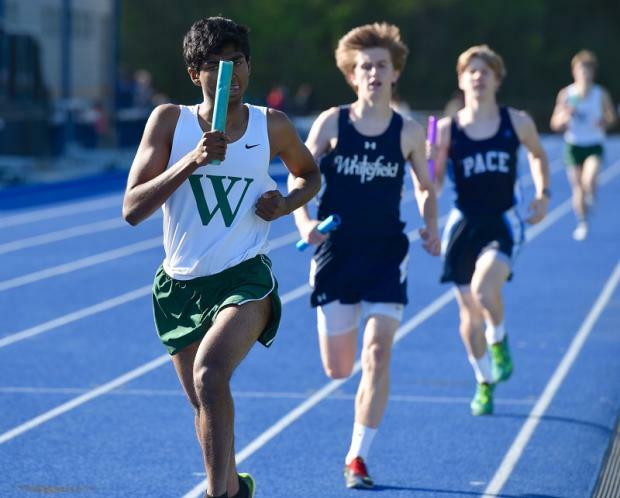 Westminster "A" 4x800 Relay Team of Jack Powers, Pranav Rekapalli, Ruben Roy, and Will Wallace worked to hold off Whitefield and Pace FTW. 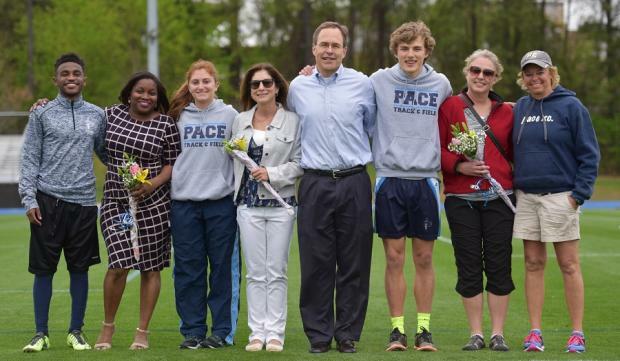 Day 2 kicked off by honoring Pace Seniors & their parents - left to right is Xori Johnson, Jilly Paul and Alec Rogers, along with Coach Cunningham. 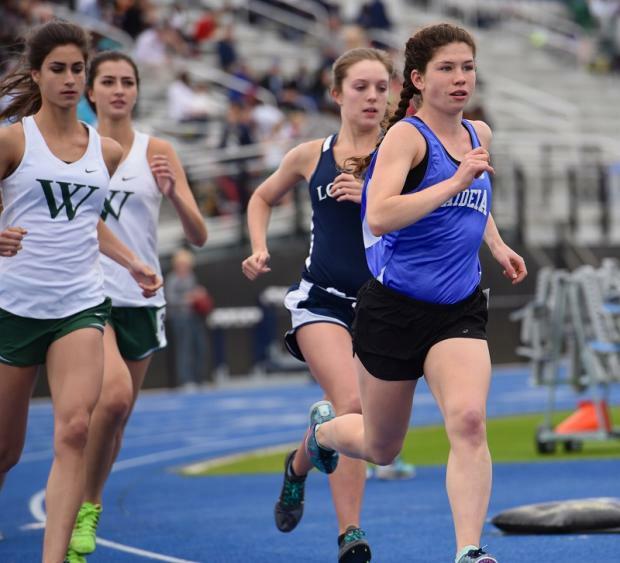 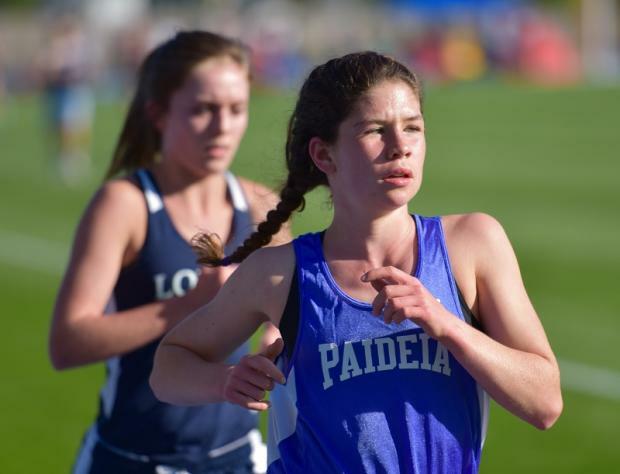 The Girls 1600m Run saw Sophia West jump out to the lead ahead of Serena Tripodi, Victoria Flowers, and Carson Simon. 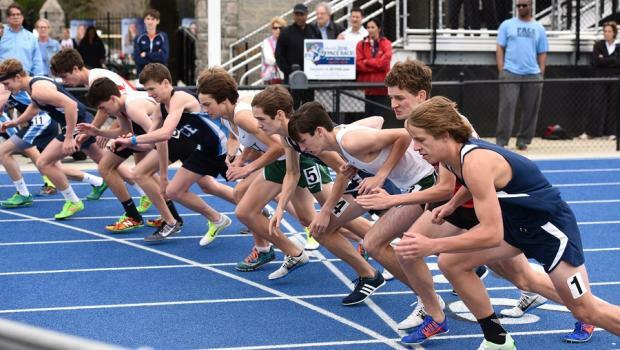 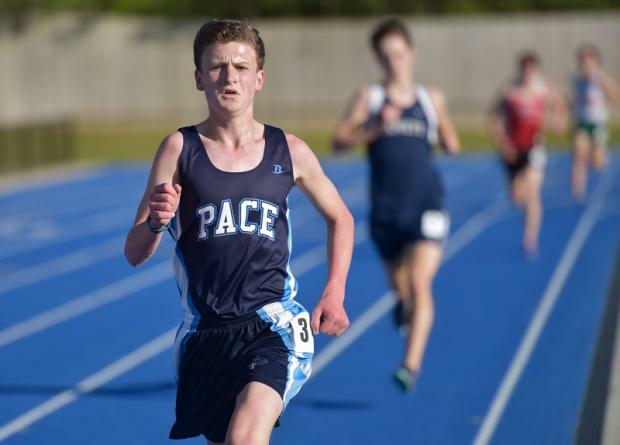 The Boys 1600m runners blast off the starting line, with Everett Smulders #1 of Lovett conserving energy for the 800m. 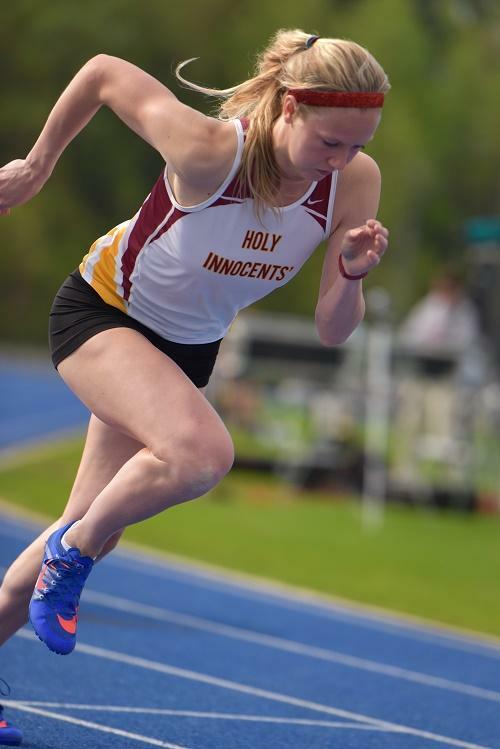 Chelsea Zoller of Holy Innocents dominated the 400m Dash with her 56.48, under windy conditions. 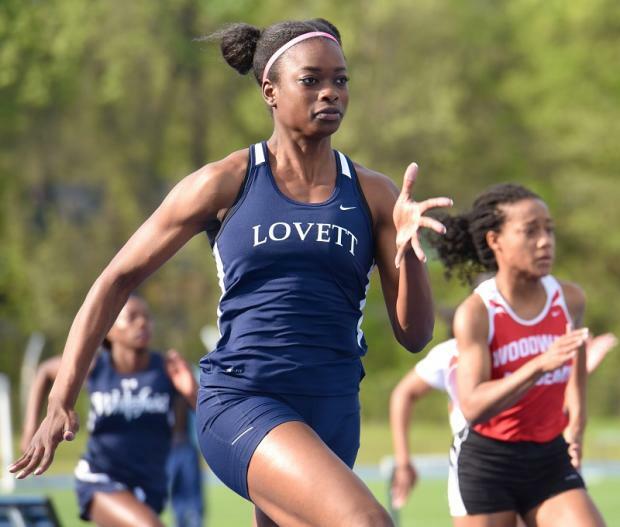 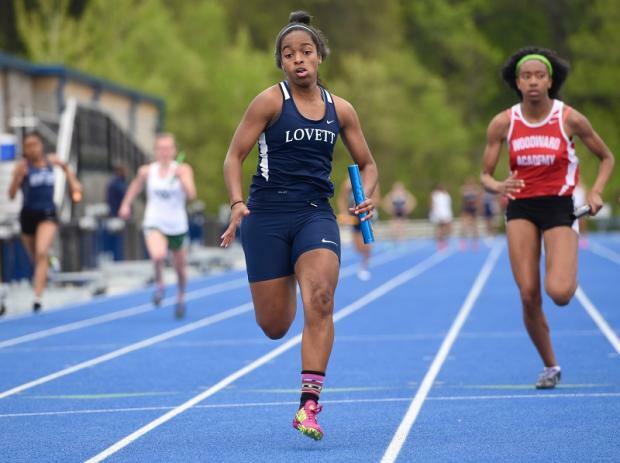 Victoria Powell of Lovett sprinted to the win in the 100m Dash ahead of Miriam Waters of Woodward. 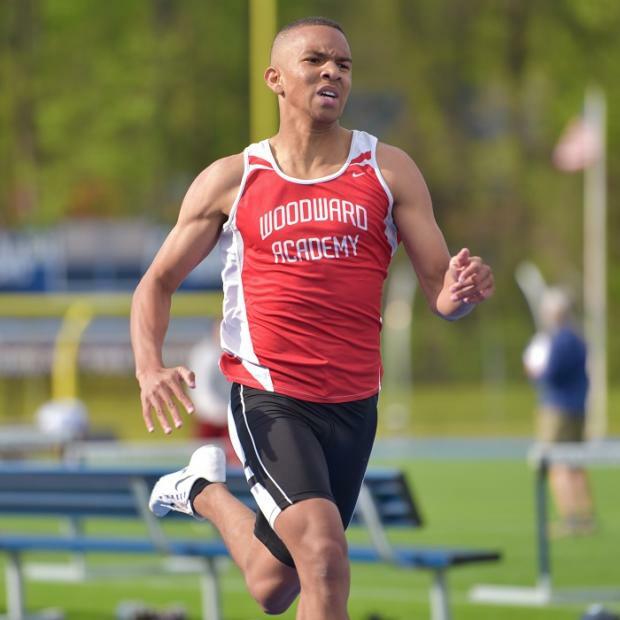 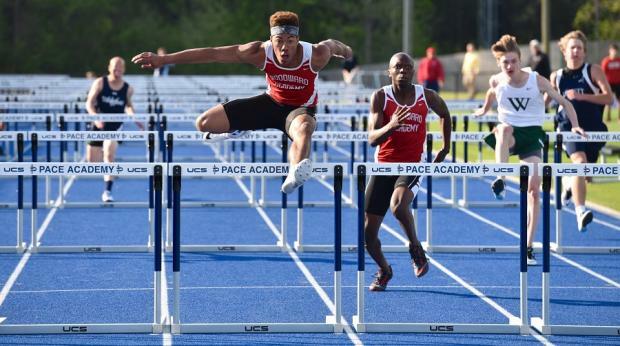 Antone Williams of Woodward used great form to best his Teammate Kamau Robinson in the 110m Hurdles. 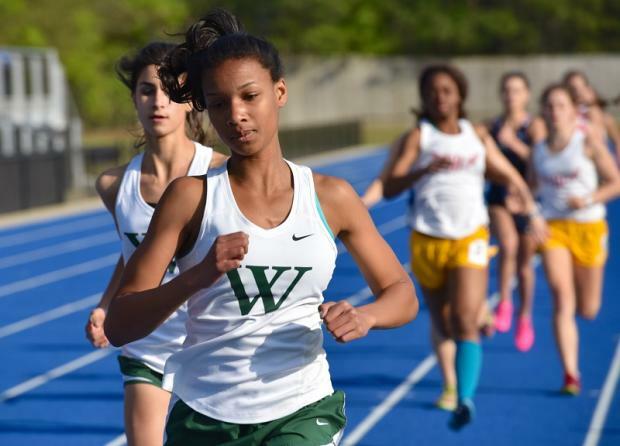 Victoria Flowers of Westminster posted a terrific time of 2:23.87 to earn Gold in the 800m Run. 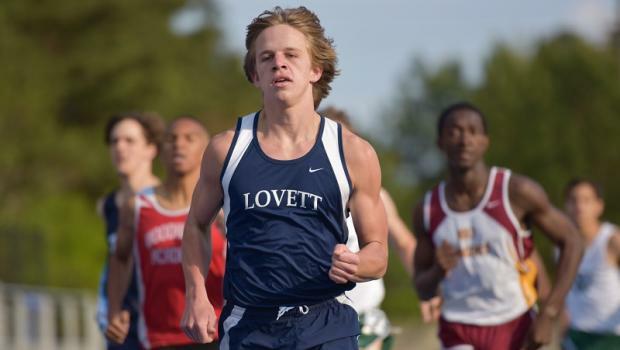 Everett Smulders of Lovett added the 800m Gold to his collection, ahead of Dwayne Watkins of Woodward and Braxton Lindley of Holy Innocents. 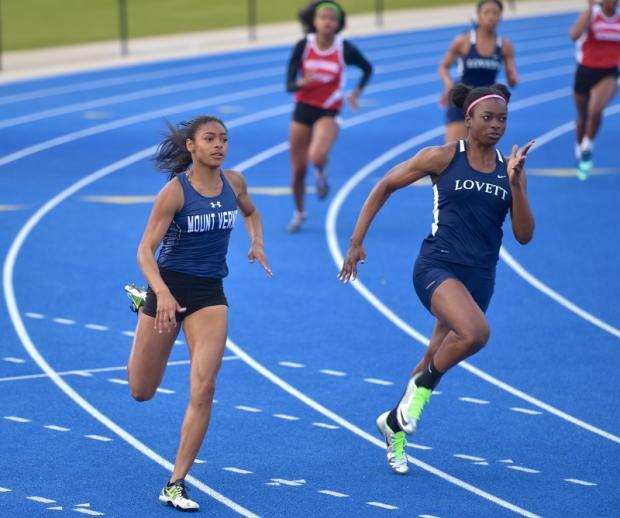 Victoria Powell of Lovett and Morgan Lewis of Mount Vernon run the curve for Gold & Silver in the 200m Dash. 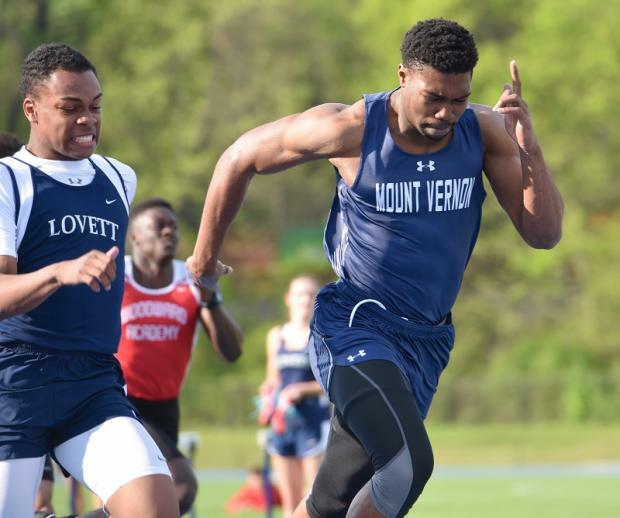 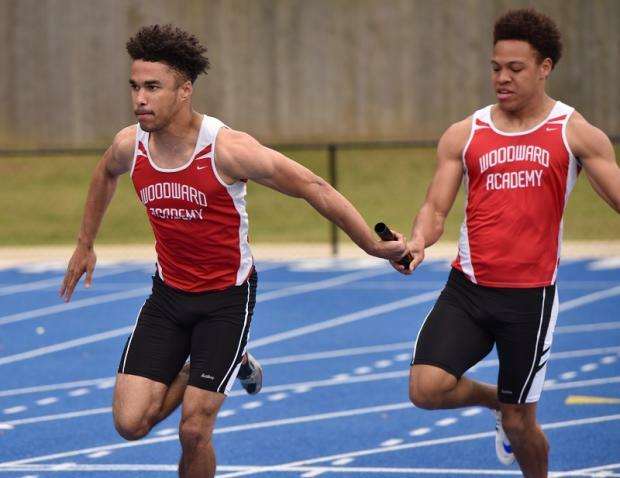 Heat 3 of the Boys 200m Dash featured Jules Erving of Holy Innocents, Tommy Davis of Paideia, Xori Johnson of Pace, John Watson and Ahmir Lee of Mount Vernon, Julian Cameron and Reese White of Woodward. 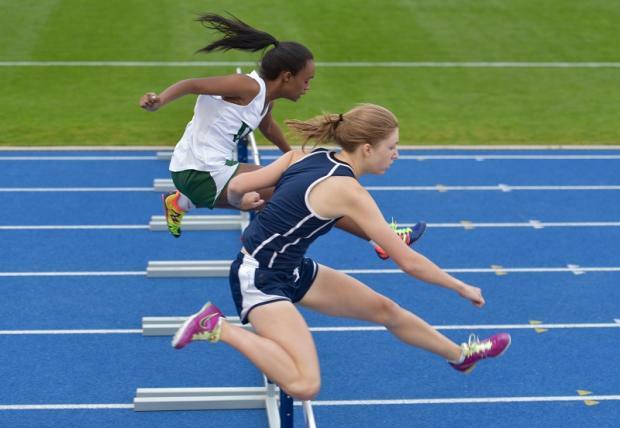 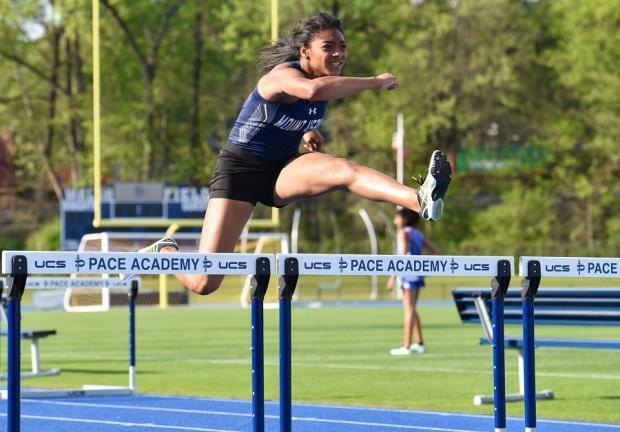 Chelsea Zoller of Holly Innocents was far ahead as Claire Buffington of Lovett and Mikaela Sanders of Westminster battle in the 300m Hurdles. 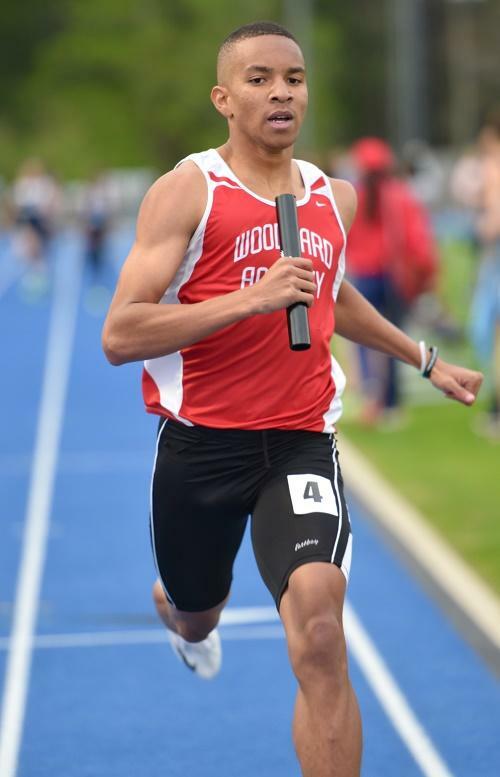 Woodward "A" 4x400 Relay Team earned Gold, with the Silver going to Whitefield, and Bronze to Holy Innocents. 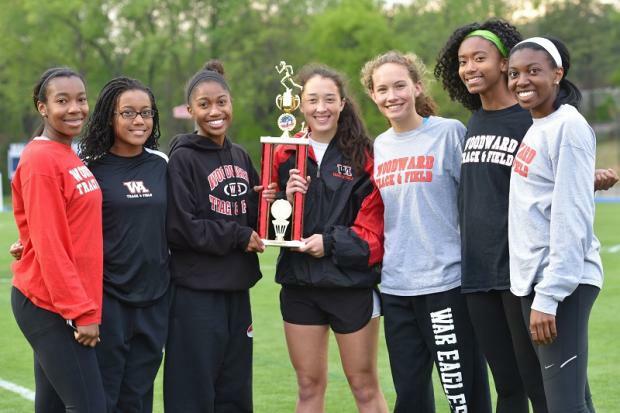 Woodward Academy Girls earned the Team trophy posting 202 points, Westminster was 2nd with 118, and third place went to Lovett with 109. 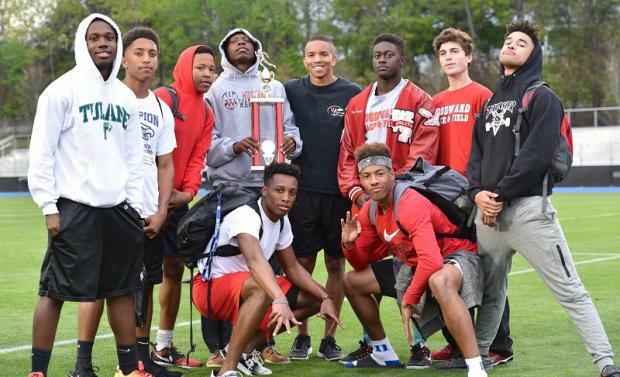 Woodward Academy Boys earned the Team trophy posting 178 points, Westminster was 2nd with 136, and third place went to Lovett with 86.